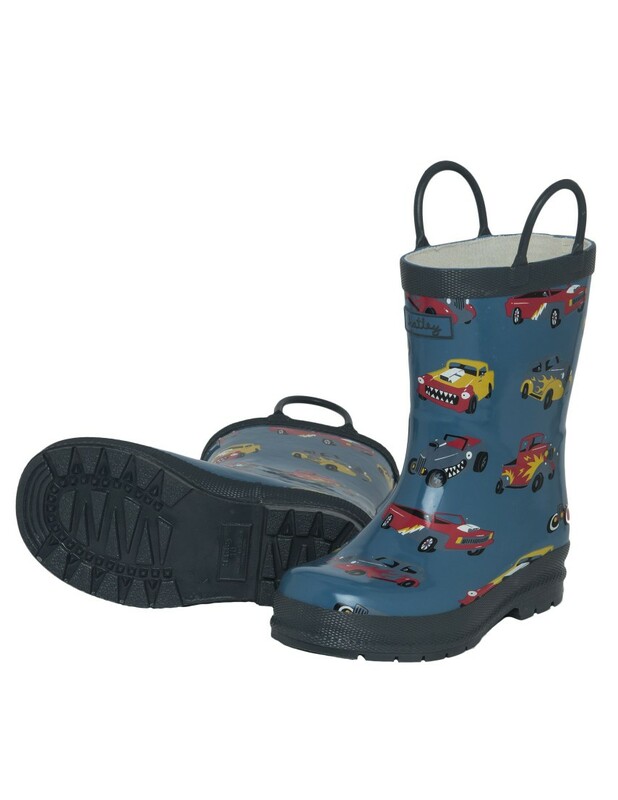 It's time to make a splash with these fabulous Hatley rain boots. These really fun prints are sure to excite your little one and the helpful handles are great for encouraging independence. 100% Rubber outer, 100% soft cotton lining, 100% polyester insole.